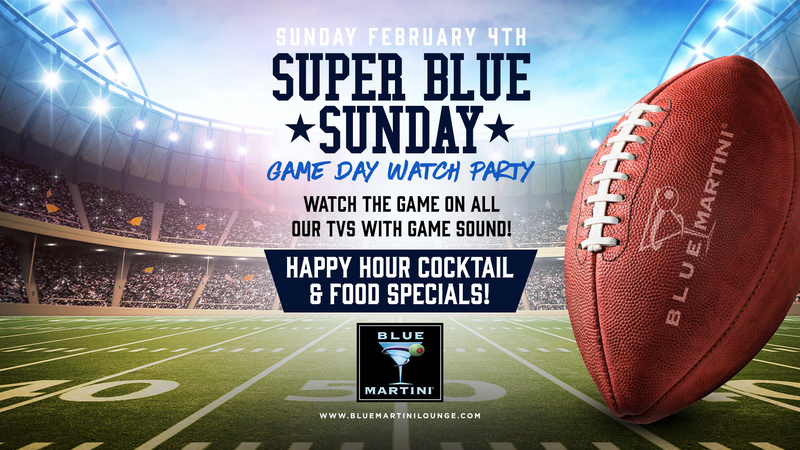 Watch the game of the year at Blue Martini on Super Bowl Sunday – Feb. 4th! Grab your friends and come down to the Blue to root for your team – Philadelphia Eagles or New England Patriots. Catch all the big game action on our TVs with the game sound on so you don’t miss any of the action! Blue Martini will have Happy Hour specials on food and cocktails. You can watch the game at any of our locations. Times vary by location so check your local Blue for times. Call ahead for Game Day reservations so you can be treated like an MVP! Visit https://kendallmiami.bluemartinilounge.com/ for further information.